And that is how you ended up spending your Saturday looking for a little piggy mask. So far you’ve found scary looking ones. And one memorable skewered pig with an apple in its mouth. They weren’t the kinds of things that Amy would be into. 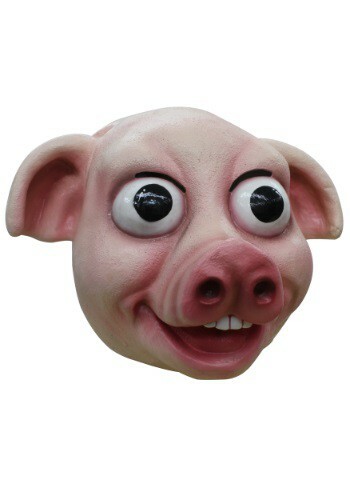 Then you found this sweet looking Pudgy Pig Adult Mask. And you knew you had found the one. Amy would be attracted to the large innocent eyes, and you could help her stay away from the Big Bad Wolf. Hopefully by taking her to your house made of brick!